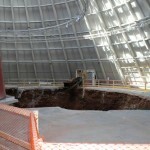 In the wake of the sinkhole at the National Corvette Museum, Fastlane has taken the time to reflect on the iconic cars damaged in the destruction. 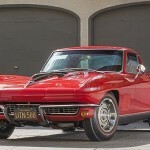 The latest article spotlights the 1 millionth and 1.5 millionth Corvettes. The 1-millionth Corvette is a 1992 convertible born around 2pm on July 2nd. This vehicle was modeled after the first Corvette built in 1953 – a convertible clothed in white and stitched with a red interior. 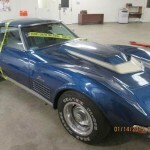 Prior to birth, the decision was made was to give it to the Corvette Museum Foundation, with the sale of the “one-millionth plus one” Corvette to be auctioned with the proceeds going to the National Corvette Museum. It is no coincidence that the 1.5 millionth Corvette has the same color scheme. Built on May 28th, 2009, the vehicle marked a huge achievement for the Corvette brand as it had survived the economic downturn and stock market crashes from around the world. 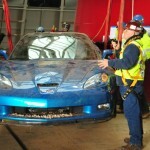 Again a product of the Bowling Green Plant, the 1.5-millionth Corvette proudly maintains its place in Corvette history. Sitting back and soaking up the story behind these landmark Corvettes, the effects of the sinkhole ring loud and clear with enthusiasts around the country. 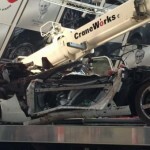 We hope for the best in efforts to preserve the damaged Corvettes. 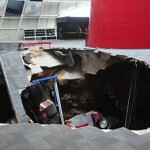 Blue Devil ZR1 Corvette emerges from Sinkhole!